Can my clients also pay me online? If yes, then how? 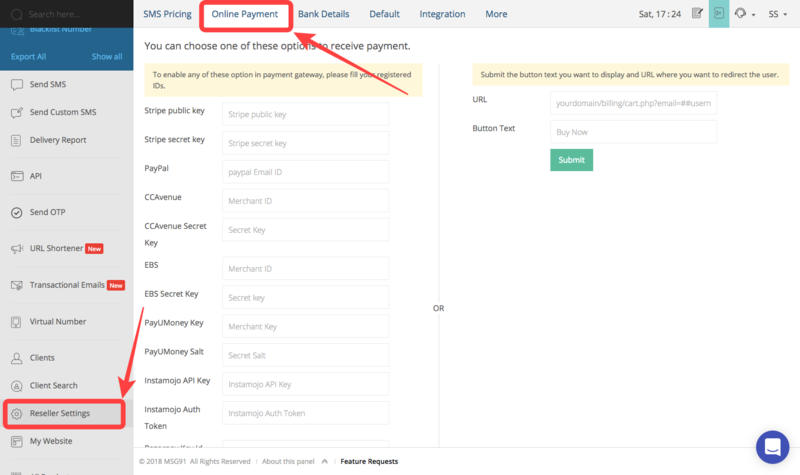 Yes, your client can also pay you online if you integrate your payment gateway in our reseller panel. 1. Go to Reseller Settings.